The UKKubb 2019 Championship will be held on Saturday June 29th 2019. The big news is that, after a number of years running the event in Farmborough, and after receiving a lot of feedback from participants at the 2018 event, we have made the decision to change venues. We recognise that there will be teams that have been coming to Farmborough for a number of years, and for whom the move to Hampshire will be a bit of a shock. As the event has grown, we have found that more people are coming from further away, with a number even travelling from outside the UK in 2018. We hope that for most, the new location will actually be easier to get to, and we are confident that for those that have additional effort, the journey will be well worthwhile. 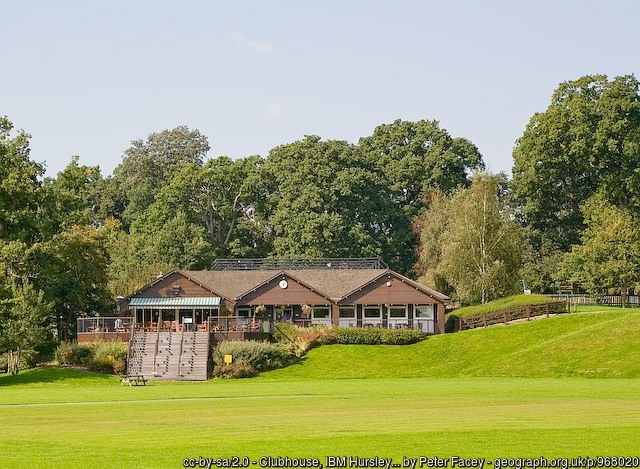 We've put a lot of thought into finding a wonderful venue that allows us to run a great UKKubb event, and Hursley Park would be right at the top of the list , meeting all the criteria that we set. Hursley is within 15 minutes of all the amenities of Winchester, Eastleigh and Romsey. It has easy transport links through rail via Winchester or Romsey, road, with the M3 only a few minutes away and even air, with Southampton airport very close by. Accommodation is available within easy at hotels of all prices and ranges and there are a number of campsites only a few minutes from the event. We will be looking into the option of providing transport to/from train stations and nearby campsites for 2019. If that is of interest to you, please let us know. Importantly, the Hursley Clubhouse has a long and successful history of supporting and catering for very large events, and we are confident that they will provide a service that is a step above what we have been able to offer elsewhere. We are likely to be able to offer a pre-booked high quality meal or barbecue options, as well as a great range of beer, wine and soft drinks. The team at the Clubhouse has already been incredibly supportive as we have worked through requirements for the event, and they are genuinely excited to have us all there in 2019. We will be opening up registration very soon, so please keep come back regularly to check the site. The following teams have already registered. Please do get in touch if you think that your team should be listed here but isn’t, or if you think we have some details wrong. Note that the list tends to change a bit as the competitors’ plans alter, so it might be worth checking back from time to time. At this point, all available slots for UKKubb 2019 are full. You are still very welcome to register and join a wait list, as we often get slots opening up closer to the event.